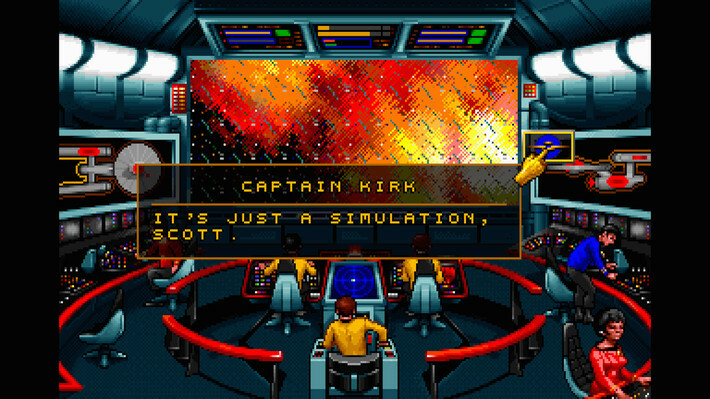 Star Trek is something of a recent fandom for me. 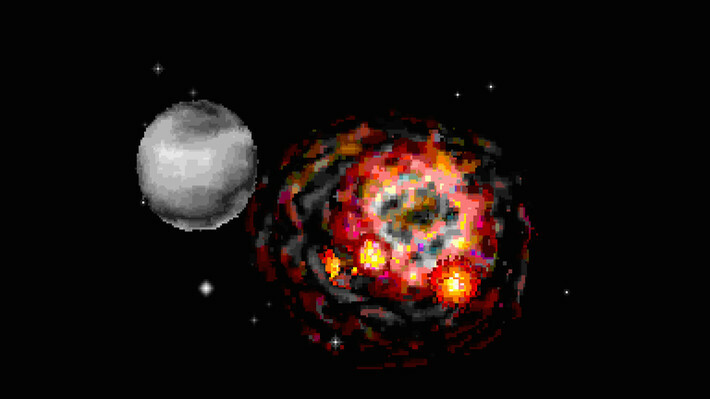 I've always known of its existence, of course, but up until the past few years I hadn't ever paid it much attention. Then along came the J.J. Abrams movie and, after enjoying that, I decided it'd be worth checking out the original show. 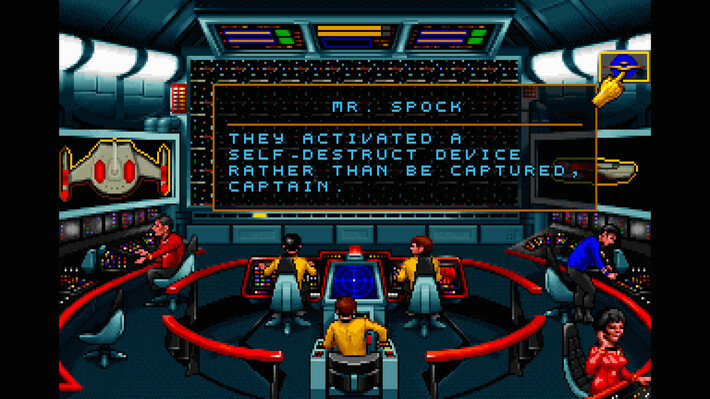 One Netflix binge later I counted myself a budding fan of the franchise, especially the adventures of James T. Kirk. 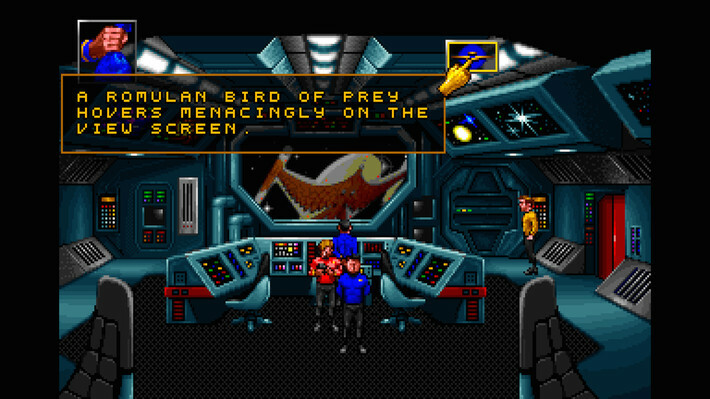 So when the classic Star Trek: 25th Anniversary point-and-click adventure game came to GOG, I was interested to see how I would respond to it. 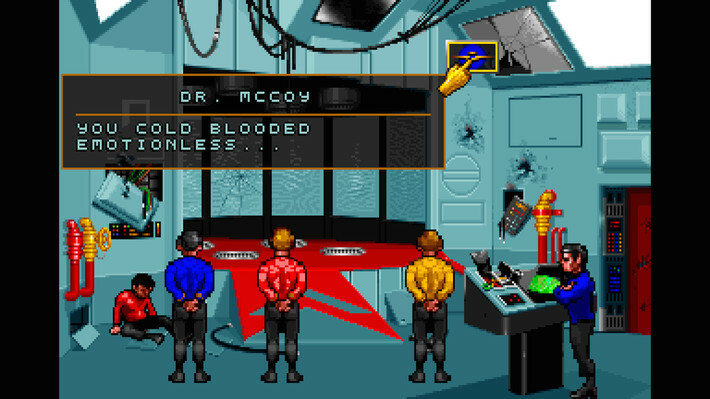 Excepting Telltale's modern take on the genre, I generally don't like most adventure titles. In fact, I actually tend to avoid reviewing them because I know I'm not the target audience and I usually don't feel like I have the mindset to give them a fair shake. 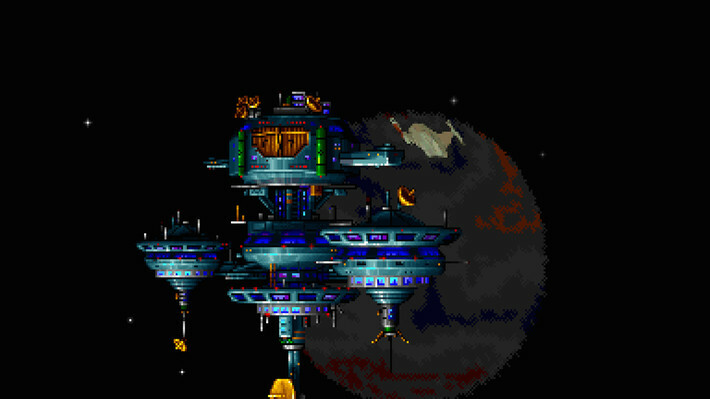 That being the case, I'm happy to report that I actually really liked 25th Anniversary. 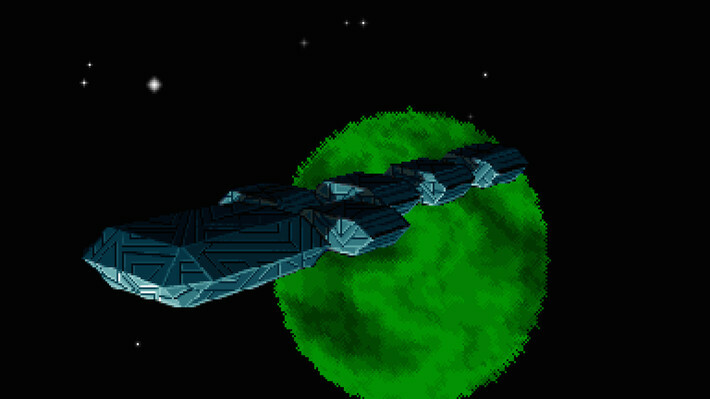 It's an old school adventure game, to be sure, but it does things that made that style of play work for me in ways that other titles didn't. 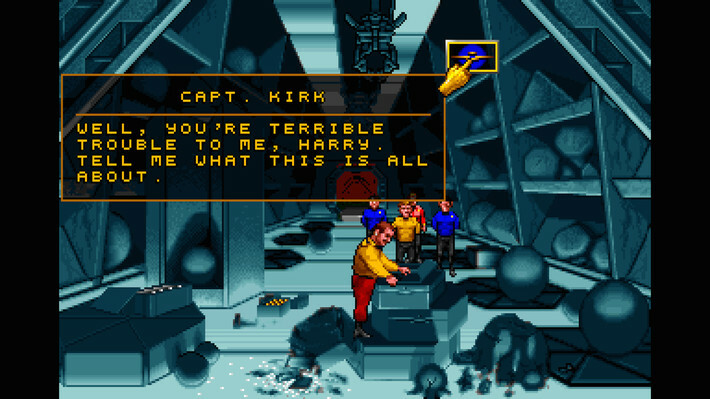 Putting you in the role of the man himself, Captain Kirk, the game follows the Enterprise and its crew through a series of episodic adventures that could have come straight from the original TV series. The game's greatest strength, in turn, is how well it emulates and recreates the trappings of the show. 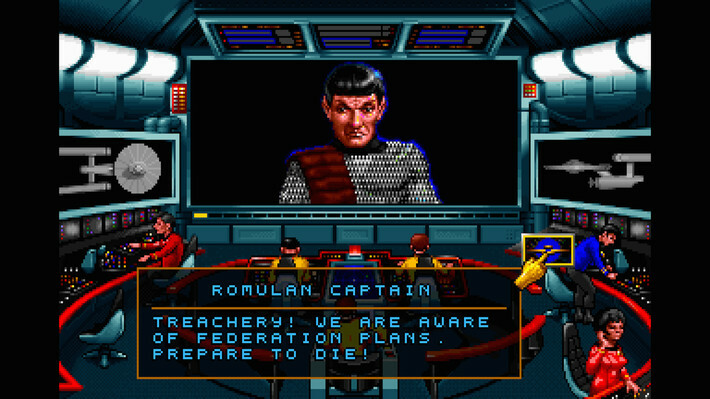 The visuals, the dialogue, the voice acting (performed by the original cast), the storylines; the game goes to lengths to craft an experience that looks and feels like something Roddenberry and company might have filmed themselves back in the 1960s. 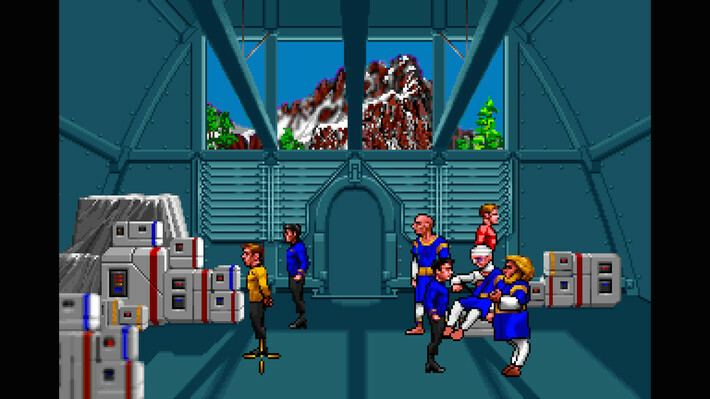 The game's first mission, for instance, involves a human colony that needs the help of Enterprise to investigate mysterious attacks by Biblical demons. Strange things happen, true to Star Trek form, and there's a sci-fi twist that's perhaps a bit predictable but still a lot of fun. The actual process of investigation and problem solving were also, much to my surprise, rather enjoyable. Some of this, of course, has to do with the fact that it's just fun to order around the characters of the show. 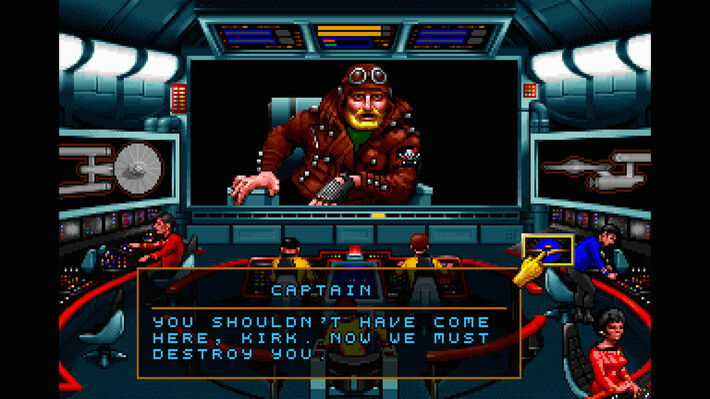 The game's dialogue is quite extensive, and the principal cast will often chime in with amusing commentary when you do something nonsensical or stupid ("Damn it Jim! That's a phaser not a flashlight!"). More than that though is that the game tends to limit its problem solving to puzzles requiring little more than a bit of logic. 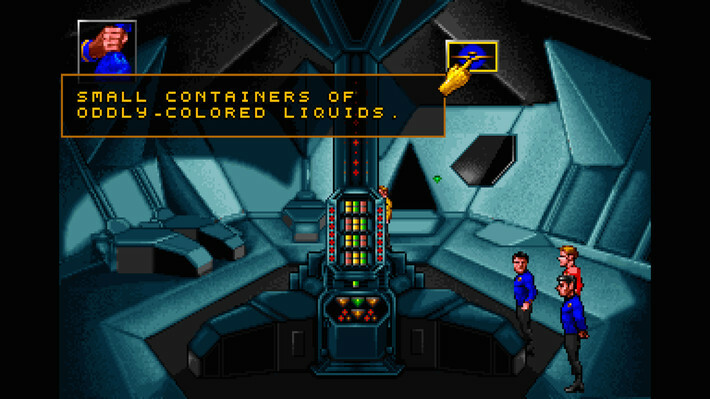 Many of the adventure games I've played in the past could be maddeningly obtuse with their puzzles. "Door A needs a key. To find key you need to find B, run it through machine C, combine it random object D and then give it person E. Person E will give you the key."